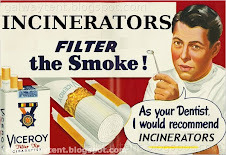 The Galway Tent Blog: Bankruptcy At Incinerator Related Company? Samuel Zell is the billionaire 'boss-man' at Covanta, the honest outfit from New Jersey trying to build waste-to-toxins incinerators at Poolbeg and at Rathcoole. Using high levels of debt Mr Zell bought influential US newspapers such as The LA Times and The Chicago Tribune. The newsrooms are being decimated as journalists are fired. On 29-Feb-08, Zell's Shareholding in Covanta was worth $666 million. Dublin City Council has a secret contract with Covanta which will apparently supply guaranteed cash-flow to Covanta for 25 years. Covanta has a record of breaking US laws relating to dioxins, and six thousand other violations, allegedly. In addition to the unknown liability from the secret contract, taxpayers can expect to pay an additional €25 million to €75 million in CO2 penalties, each year. The additional financial liability for Tobacco and Asbestos style lawsuits caused by deadly particle pollution is also unknown. 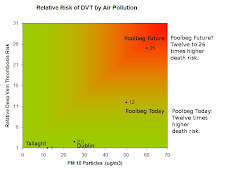 Estimates by British Society for Ecological Medicine using World Health Organisation Air Quality Guidelines indicate the Dublin Bay Incinerator at Poolbeg would cost at least 100,000 man-years of life over 15 years. Each life is valued at about $8 million by the US government's EPA, so this liability from particle pollution could exceed $683 million each year. Tribune has hired bankruptcy advisers as the ailing newspaper company faces a potential bankruptcy filing, people briefed on the matter said. The newspaper, which was taken private last year by billionaire investor Samuel Zell, has hired advisers including Lazard and Sidley Austin, one of its longtime law firms, these people said. Tribune has been hobbled by debt related to that sale last year, which has been compounded by the growing drought of advertising for newspapers. It is only the latest — and biggest — sign of duress for the newspaper industry yet. Several newspaper companies have struggled to cope with declining revenues and mounting debt woes. Tribune has pared back the newsrooms of many of its papers, including The Chicago Tribune, The Los Angeles Times and The Baltimore Sun, and it sold off Newsday to Cablevision’s Dolan family earlier this year. While Tribune must contend with hefty interest payments over the next year, its most pressing problem is a maintenance covenant on some of its debt that limits the company’s borrowings to no more than nine times earnings before interest, depreciation and amortization. Even if the company continues to make interest payments, failure to maintain that level of debt means technical default — which does not always lead to a bankruptcy filing. Other newspaper publishers have halted making interest payments on their debt, but have yet to file. Tribune has sought to ameliorate its woes by selling off assets like the Chicago Cubs, the company still faces a looming debt crunch. Tribune hired Lazard several weeks ago to assess its options, these people said. Sidley Austin is a longtime outside adviser to Tribune, and it has a well-respected bankruptcy practice as well. Covanta is run by Tony Orlando under direction of Property Billionaire Sam Zell and has it's HQ in NJ, The Garbage State famous for it's cement and waste earners. In 2006 Covanta was reportedly fined for violations at ALL three of its waste-to-toxics plants in the state. Some time before that the Ogden organisation which morfed into Covanta was fined for six thousand violations within a two year period. In 2007, immediatey following the fines for threatening peoples' health with dioxins, Tony was awarded at least $2,872,175 in official compensation. When they pump out dioxins over their own heads in New Jersey why would they not do the same overseas in Dublin?